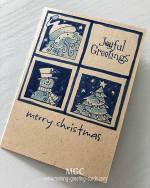 Here are some Christmas Card Verses that you can freely use in your homemade greeting cards. Just handwrite these card words into the inside of your homemade cards. Or copy and paste then to Microsoft Word, highlight it to change to your favourite font and print out on vellum or text paper, then put inside your cards. 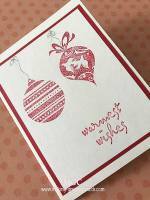 Another way is to put a few of these card verses on your page, print and cut around it with decorative scissors and paste into the inside of your handmade holiday cards. Well, just be creative and use them anyway you like. Make someone happy this Christmas - send him or her one of your homemade greeting cards and add one of these Christmas verses. If you have some Christmas verses that you would like to be included here for us to use, please do email me and if appropriate, I will add your Christmas Card verses here. Thank you. This page of Christmas card verses is rather long. I have added another page so that it will be easier for you to navigate. Do you have one or two Christmas card verses to share with us. 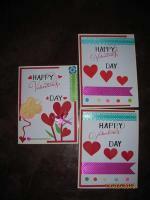 Contact me and I will add your Christmas cards verses here. And here are two Christmas card verses to save and print for your Christmas cards. 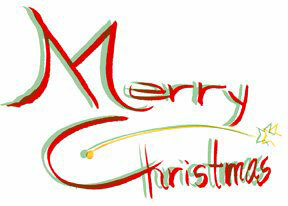 Right Click on the above words 'Merry Christmas!' or 'Blessed Christmas!' to save to your hard disk. Resize in Microsoft Word or your image editor. Copy and paste multiply copies into your document. 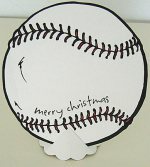 Print, cut and paste into your homemade Christmas cards. Suggestion : Use eyelets to attach to your cards. And for Christian Christmas verses, just click here to get them. Need Bible verses for your Christmas greeting cards! Click here to get one or two Christmas Scripture Verses. For anything Christian, visit my personal Christian website.